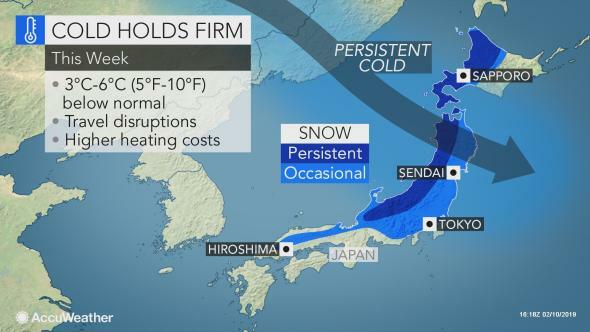 Snow has begun to accumulate in southern parts of the Kanto region, including Tokyo today. Weather officials say a cold air mass and pressure trough have produced intermittent snow since early morning. At 9:00 am, the snow on the ground in the city of Chiba was five centimeters deep. It was two centimeters in Tsukuba in Ibaraki prefecture, NHK reports.